If you have ever wondered why we chose Hebrideans to graze at Carry Farm, then read on. Historically, Hebrideans were known as Scottish Dunface and were the mainstay of subsistence farmers in the north and west of Britain, originally kept for their milk and fine fleeces as well as the meat. Many factors combined to contribute to the demise of the breed in the late 18th and early 19th centuries. Land clearances and the development of new breeds by government and commercial land owners resulted in the breed barely surviving. 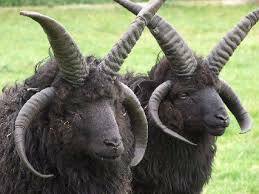 The new improved black face and cheviot were seen as superior to the small, thrifty, multi horned Hebridean, who were slowly pushed to the rocky edges and wild islands on the west coast. By the beginning of the 20th century, the breed had as good as disappeared, having survived for thousands of years before human intervention. Ironically, given the detrimental influence of land clearances on the breed, had it not been for the existence of large country houses and parklands in England, Hebrideans would no longer be with us. The aristocracy and land owners north of the border favoured the more commercial breeds, whilst in the large parklands to the south, a flock of Hebrideans were an attractive addition that required little management. So the upper classes who contributed to the decline of the breed, were also their saviour. By now, they were commonly known as St Kilda sheep. By 1973, there were as few as 300 Hebrideans surviving across 40 parkland flocks. And despite their name and homeland, there were no surviving animals on the west coast of Scotland. Having been identified by the Rare Breed Survival Trust as being endangered, they were renamed Hebrideans, and since then, with the help of dedicated breeders, numbers are steadily rising to the point that they are no longer endangered. Hebridean Sheep have established a reputation as the breed for the management of delicate ecosystems. Their dietary preferences are different from those of other breeds and this, coupled with their ability to thrive on vegetation with poor energy values, makes them a unique management tool. 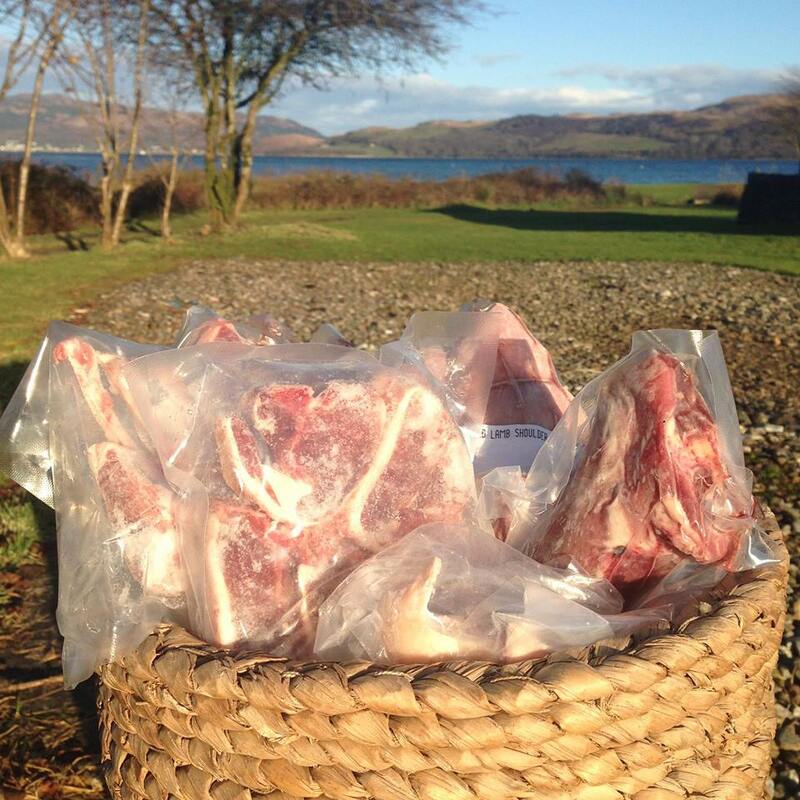 Hebrideans were the perfect choice of breed for Carry Farm and Tarbert Castle - a hop across on the ferry - who developed their flock alongside their cousins at Carry Farm. So next time you walk round our point, enjoy our tenacious Hebrideans and appreciate the struggles they have had to survive in their homeland. You can help to support their survival by buying their delicious meat, choosing an indigenous breed over a commercially manufactured one. Hebridean are now recognised as the sheep breed producing a range of exceptional high quality products from its meat, skins and wool. We have 1/2 lambs available for sale butchered and vacuum packed for £48. To fully appreciate the animals nothing should be wasted. Their skins are organically tanned in Argyll at Torrisdale Tannery using an ancient tree bark technique, and their wool is made into textiles for the home available to buy at The Dairy Gallery at Carry Farm. Please contact Fiona if you are interested in further information.